Because I’m totally a fan of Revlon lipsticks, I had high hopes for their mascara. So when I found myself in need of a new one, I went to the Revlon counter and asked the sales lady to suggest to me a volumizing, waterproof mascara. She suggested Revlon’s Custom Eyes mascara. It boasts being able to give you two looks in one. I loved that gimmick so I was sold on getting it. How do you get two looks in one mascara? Well apparently, the secret lies in the adjustable bristle brush. Twisting the dial to number 1 gives you length and drama, while twisting it to number 2 will supposedly give you length and definition. At first dip, I noticed how the stopper wasn’t doing a very good job. The stopper, in mascara terms, is that thing at the end of the tube that should ensure that you get just enough product on your wand. 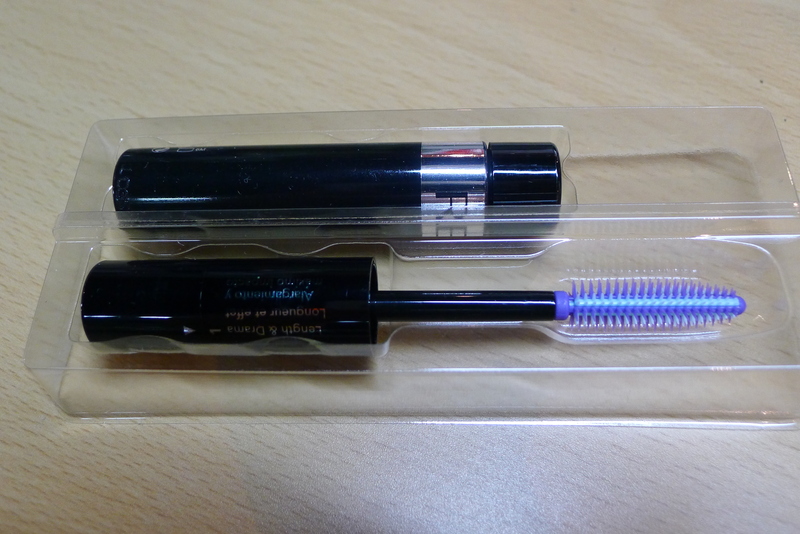 With this mascara, I constantly notice that I get more product than I need especially at the tip of the wand. If you don’t tap this off, you’re surely going to make a mess of your eyes with this extra product going everywhere you don’t want it to go. Nevertheless, this is a minor flaw so I let it slide. 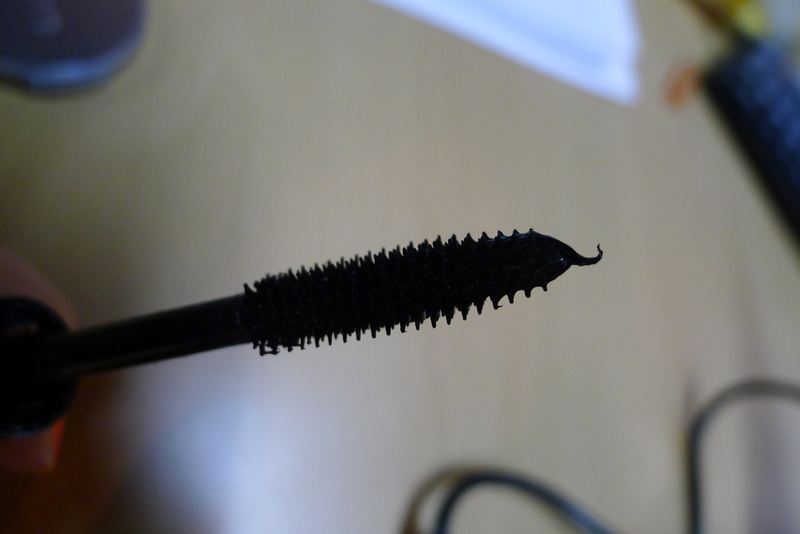 For about two weeks, I wore this mascara everyday using the number 1 (length and drama) setting. 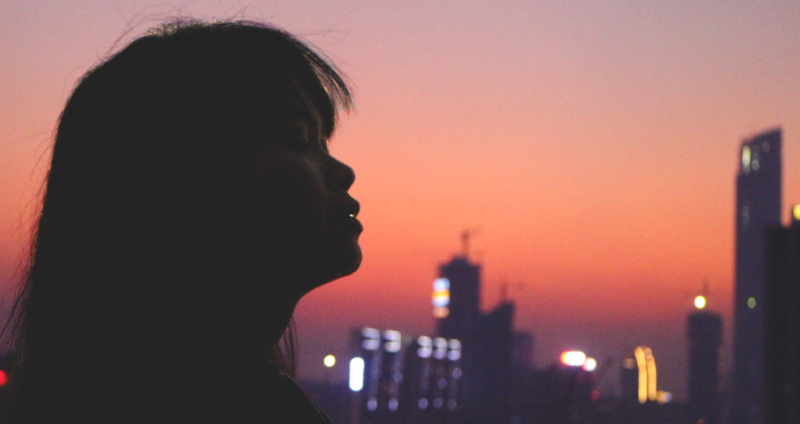 During this time, I noticed how I’m more prone to getting clumpy lashes. It doesn’t seem to matter whether I apply the mascara using a zigzag motion or run a brush after applying. The red result is spiky, spider lashes. Obviously, I was not happy about this. However, it does give the illusion of thicker lashes. I just don’t think the change is dramatic enough for me. Below, I wore the mascara on my left eye and kept the right eye natural. You can see that it does make a difference. After I was satisfied that I tested this mode enough, I switched to the number 2 (length and definition) dial and wore it every day too for a week. This setting is better in the sense that my lashes do not clump as much, but at the same time, I don’t think it’s volumizing and lengthening enough. I’m not satisfied with the definition this setting gives. 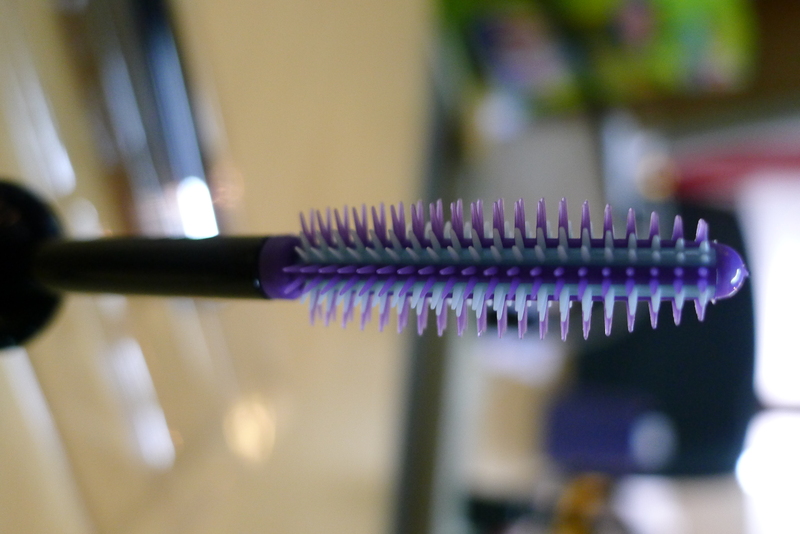 However, this is great if you already have long and thick lashes and just want to define them more. Just to give you a comparison, I used setting 1 (length and drama) on my right eye and setting 2 (length and definition) on my left. You can see how setting 1 (on the right eye) appears to be thicker, which makes sense since it’s the one that’s supposed to be more dramatic. Lastly, I have to point out that this mascara is not at all waterproof. I admit, it doesn’t say on the packaging that it is, but I bought it under the impression that it was. Such a disappointment. This mascara smudges EVERYWHERE! Just rub your eyes and you will have mascara all over your hand. This can be very inconvenient especially in the humid and hot weather that we’re currently experiencing. You’ll have more mascara on your skin than your lashes by the end of day. Overall, I don’t think I’ll ever repurchase this mascara. This was a disappointing buy. Definitely not worth the PHP695 I paid for it. ay!i thought pa naman if branded ang product, definitely maganda…di pala lahat…thanks for your review!! but it surely looks great on your eyes. That seems to be a good one. I am thinking of buying a new mascara kasi paubos na yung gamit ko. Might consider that. I seriously don’t know which product works best! I feel like I’m so desperate already when it comes to lashes….I have a stick stiff lashes and seems like mascara’s are just making it worse. If you ever find a good one that works great, post it right away. lol! 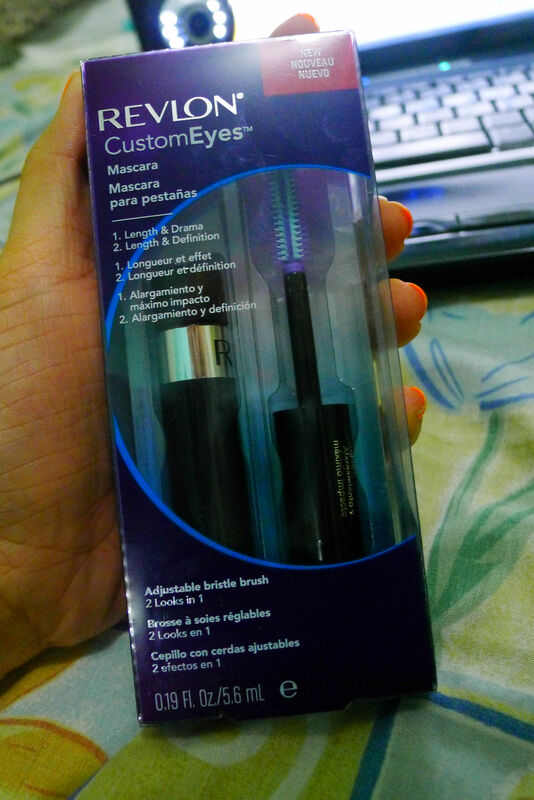 I can’t buy mascara often, di din nman kc madalas gamitin. I like mascara but my eyes don’t like it. My eyes get irritated with it. And good thing i never purchased this revlon mascara. hahhahaaha which cover girl mascara were you using? ay sayang…di xa waterproof. i tend to smudge mascara e, so i really need them waterproof. I like Revlon as a brand, but I’ve never tried this mascara yet. Sayang naman it doesn’t do as good as it promises.. With mascaras I only use Cover Girl’s Lash Blast, works really well on my stick-straight and super thin lashes. It doesn’t give a lot of volume though, or maybe I’m just not blessed with long and thick lashes. If a mascara is not waterproof, I’m not using it. I’m such a crybaby, and I tend to smudge mascara a lot! It looks heavy and it seems to make lashes stick together. No go for me too.